Who Said These Wise Words? I just love this quote that floats around. I bet most moms have said some version of this. I have no idea who said it but it is certainly worth repeating...over and over again. I don't know who said it, but it's all true and good advice. I like your graphic! I don't know either; but, I love it! No idea...but now you just did and it's wonderful and worth repeating for sure! Don't know the source but I am totally borrowing it for somewhere in our home. No idea who said it, but I love it just the same! Happy Friday! I've never seen this, but what good advice! What if we all practiced this everyday? Ironically, I think those who need to know this the most (our kids and young adults) are probably the ones most apt to roll their eyes and ignore it (like my sons right now). I think it takes a few turns around the block before we realize we need this. (as I read it out loud from your blog!!!) Ha! Great saying and I will be reading it again to my family! Thanks so much, and have a wonderful weekend! I hope you find the author. I also love the quote! It would be good to reread it every day. Hi Stacey, love the quote but have no idea who wrote it. 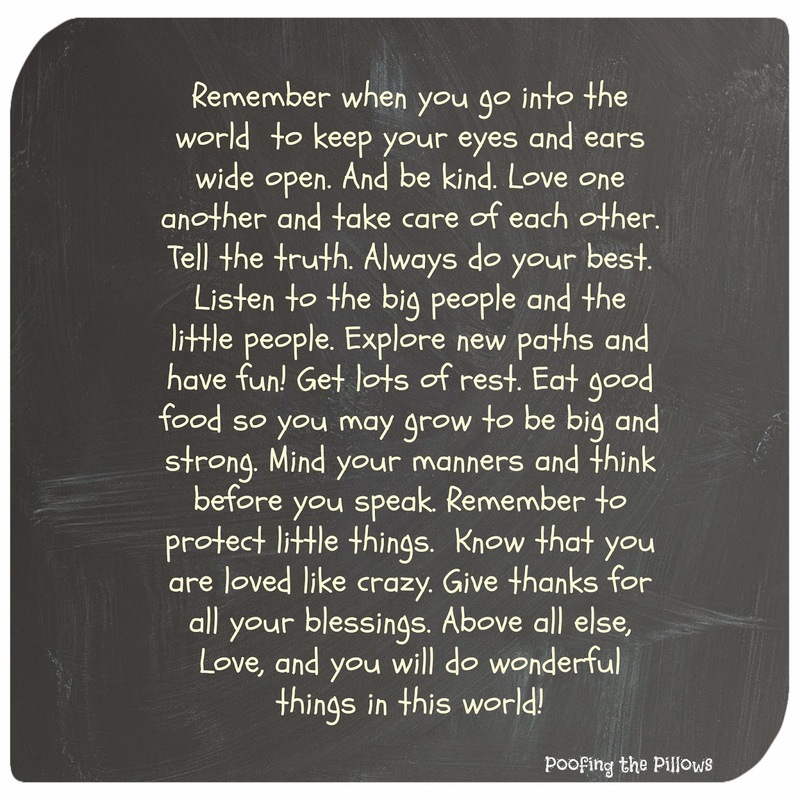 It is good advice to follow each day for everyone young and old!! I love this! if you don't find out the author, you can always sign it "Unknown". This is so cool! I just pinned it to my Pinterest account under "Things I Wish I Said". What a lovely quote! Definitely worth printing and pinning and repeating!